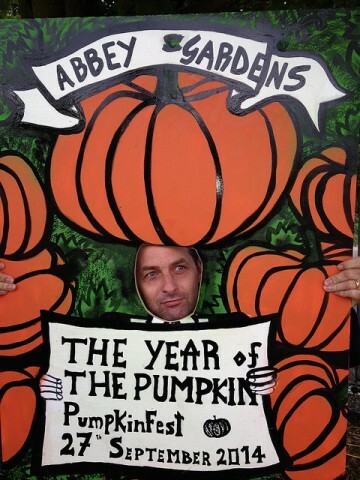 I LOVE this pumpkin photo board that The Friends of Abbey Gardens have been using to publicise our Pumpkinfest in September ... Beautifully modelled here by Andreas who I believe instigated the board production! You can see everyone who had a go in the hot spot at the Newham Mayor's show here.